Robert enlisted into the RAMC T.F. on 20th February 1909. He was 17 years and 20 months old, and a carriage fitter, working at Bristol Wagon Works, at the time. He had previously joined the RAMC Special Reserve so was mobilized when war was declared, and proceeded to serve with the 12th Field Ambulance. He entered the war, with the unit, on 24th August 1914. 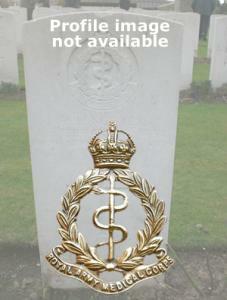 He was then posted to serve with the 2nd Field Ambulance, joining them in the field on 17th December 1914. He was serving with them when, on 8th October 1915, it was reported by the officer commanding the Bearer Division that he had received a gun shot wound to his neck. He was evacuated back through the 141st Field Ambulance to Rouen, where he was transferred back to England, arriving on 25th January 1916. He was due to be discharged due to the end of his term of engagement on 1st February 1916.